Indian Army personnel keep vigil at the India-China border in Arunachal Pradesh. 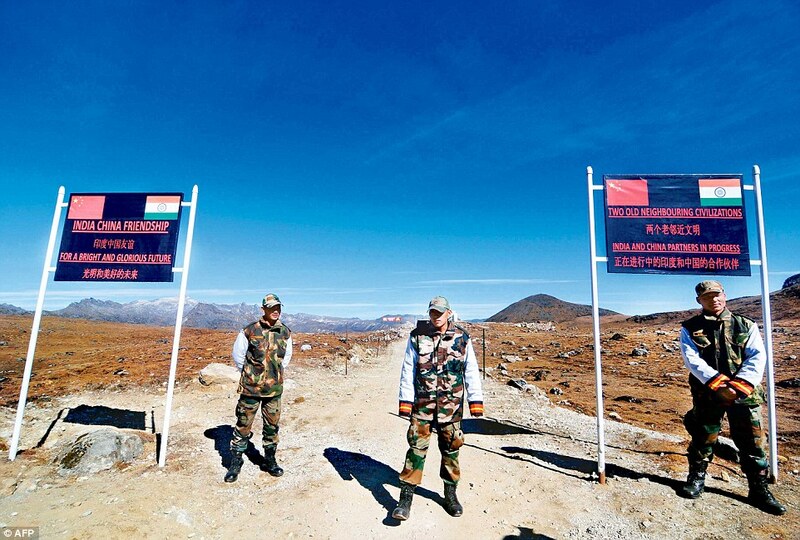 (TibetanReview.net, Nov16, 2014) – China began troop movements along Tibet’s border with India as an intimidating tactic soon after the latter’s junior Home Minister, Mr Kiren Rijiju, announced in Aug 2014 plans to build a 2,000-km road in his home state of Arunachal Pradesh to improve transport infrastructure in the remote border area, reported indiatoday.intoday.in Nov 15. China call the state its territory in an extension of its claim over occupied Tibet. The report cited highly placed Indian government sources as saying China escalated the matter and lodged an official complaint with the Indian Embassy in Beijing a day after Rijiju’s announcement. It also cited a top government official, speaking on condition of anonymity, as saying even Prime Minister Narendra Modi was concerned by the aggressive stand taken by China. “The Chinese began troop movements to build pressure on us. They made it very clear that if peace is disrupted, India will be responsible for it,” the government official was quoted as saying. Rijiju had said India was planning to construct the road along the border from Mago-Thingbu in Tawang to Vijaynagar in Changlang district. The plan is still at a conceptual stage and building it would be a huge challenge, “considering the rough and hostile terrain, mostly snow-fed, through which it will pass and it will be the biggest single infrastructure project in the history of India with an estimated cost of over Rs.40,000 crore,” Rijiju was quoted as having said in the state capital Itanagar in Oct 2014. The road is planned as India wants to create more infrastructure and basic amenities to stem the large-scale emigration from the remote border areas. India too has been concerned by China’s development of areas across the border and the rapid expansion of its road, rail and air transport infrastructure, the report said.